During Programme No. 1, 16 May until 7 June, 2009, exhibition “Entropy” by Finnish artist Terike Haapoja (1974) at the Kim? / RIXC Gallery displaying a video installation bearing the same name and made in 2004. 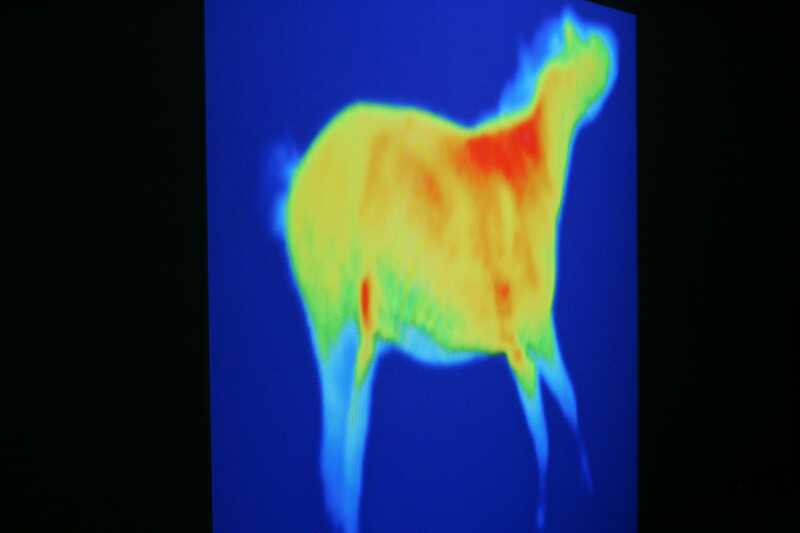 The work is created from the infrared recording of a horse’s body cooling after its death. 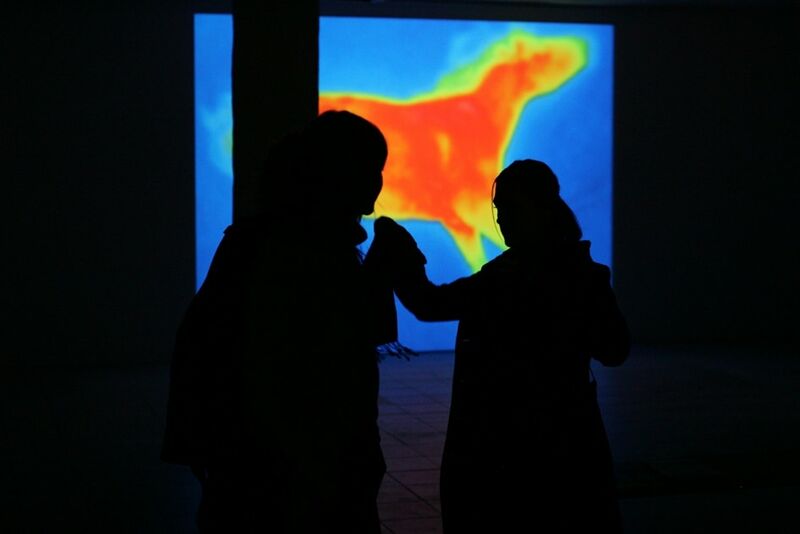 The life size projection, projected on the floor or on the wall, shows the blood-red figure of the horse slowly vanishing from the screen as its body loses the heat. The recording is edited to 25 minutes long loop.